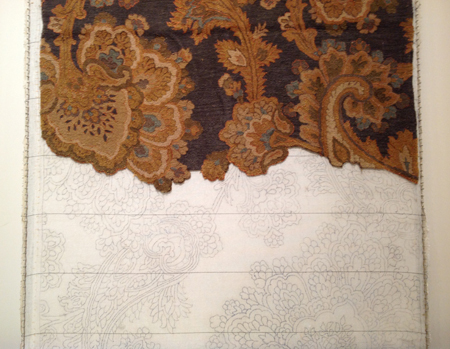 How Do You Make A Hand-Tufted Area Rug? My eight-year old daughter, like many children, has a very curious mind when it comes to how things work. She has been known to take apart the dishwasher for example. So I can’t wait to show her these photos of how hand-tufted area rugs are made! Check out the design on this partially tufted area rug! 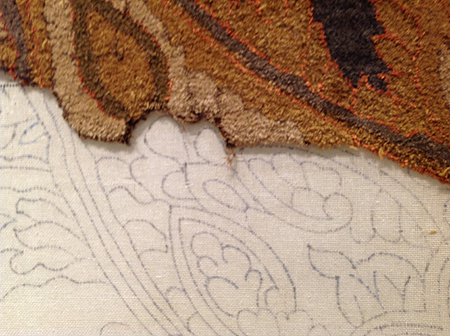 This shows the entire area rug when it is half complete with the tufting process. 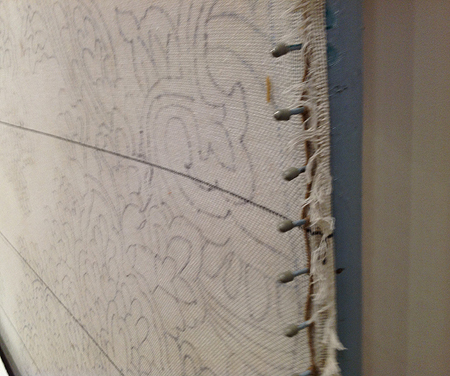 It is fascinating to me to see the detailed pattern on the canvas that the rug maker then uses during the tufting process. Hand-tufted rugs are great for high-traffic areas and generally last between 12 and 20 years. Here you can see the canvas stretched on the frame. In terms of impact on the interior design of your home, hand-tufted area rugs deliver a huge bang for the buck. Not as expensive as hand-knotted rugs but still having intricate patterns and details, these types of wool area rugs provide a more budget-friendly alternative. I’m already envisioning my eight-year old hard at play on a hand-tufted rug for her Polly doll’s house.